You can move your files and folders in Windows XP. Moving a file or an entire folder (including its contents) allows you to organize your files better or create a more logical structure of files to navigate through. Windows XP makes it a simple process to move files or folders to a different location. The Start button is located at the bottom, left-hand corner of your screen. 2Locate the file that you want to move. Double-click a folder or series of folders to locate the file. You can move the file one of two ways. Your first option is to click and drag the file to another folder in the Folders pane on the left side of the window. Your second option is to right-click the file and choose Send To. Then choose from the options shown in the submenu that appears. If you use right-click and drag, you are offered the options of moving or copying the item when you place it via a smart-tag (a little icon that appears). 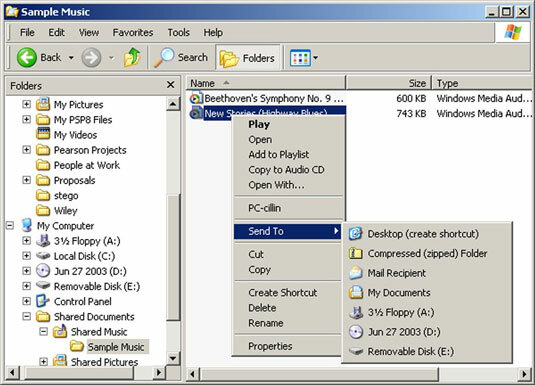 And if you want to create a copy of a file or folder in another location on your computer, right-click the item and choose Copy. 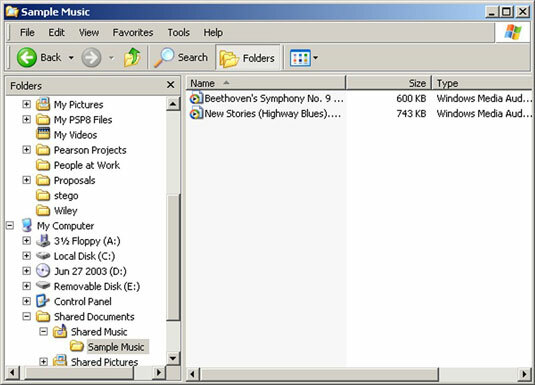 Use Windows Explorer to navigate to the location where you want to place a copy, right-click, and choose Paste or press Ctrl+V. You can find the Close button in the upper-right corner of the Windows Explorer window to close the window.